All the way from Stoke on Trent, headlining the evening we have the fantastic folk/punk band Headsticks. 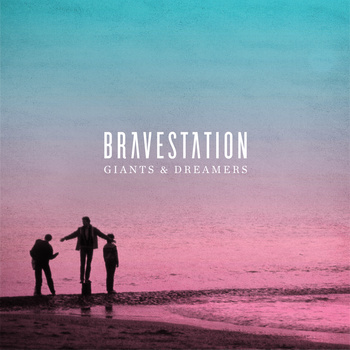 The gig is part of UK tour in support of their debut album “Muster”. With anthemic choruses, barbed lyrics, and infectious melodies their sound embodies punk ethics combined with a folk style delivery, a fantastic live band you won’t want to miss. Opening up the evening are Herefordshire’s very own “punk nutters” Abysmal. The punk ethics of the evening is set to cater for all, from the acts and their punk roots, to their attitude to their projection. This night is set to unite all music lovers, with all music tastes. An unmissable evening in Hereford. To get us all in the mood of the event, we are thrilled to spend some time with each of the acts, from homegrown talent Absymal to the touring acts The Blissetts and Headsticks. 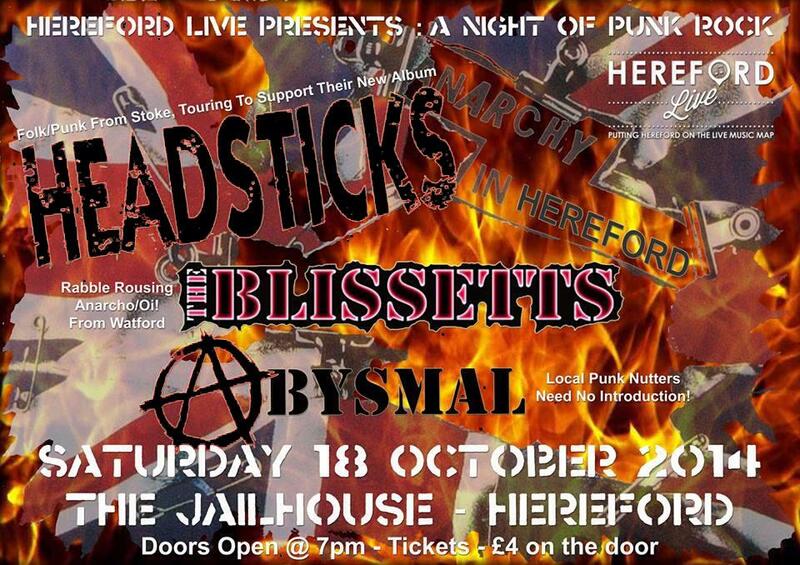 In the first of our Anarchy in Hereford gig preview special we speak to Abysmal to find out what they will be bringing to The Jailhouse on October 18th. Before we get to the details of your forthcoming live appearance at the Hereford Live’s Anarchy in Hereford show, We want to get to know more on you. Please introduce yourselves and your role within the band- How long have you been playing and performing live? I am Rich, lead guitarist in Abysmal, we play classic 70s/ 80s punk style music – nothing too serious, just a bit of a good time. We all live in Herefordshire and a couple in the band make cider for a living – proper punk drink! Is this the first time you’ve teamed up with Hereford Live? What are you looking forward to most about the HL Anarchy show and what can we look forward to from your live performance that night? Are you planning anything super special for your hometown show? This is a gig for all, each band plays something different, so it’s not just for punk lovers – please come and support Hereford’s live music scene, you will be welcomed And thanks to Hereford Live, the Jailhouse and Circuit Sweet who are so supportive – giving bands an opportunity to play. A huge thank you to Rich- be sure to check back for our next gig preview interview with The Blissetts and save the date for this unmissable hometown show.